Sometimes on a musical journey you unearth a treat. On one such foray into the musical world I was fortunate to come across this delightful live set which introduced me to the bands rather unusual works. On first listen I was hooked and listening to it again I’m still filled with warm squishy feelings and squees. 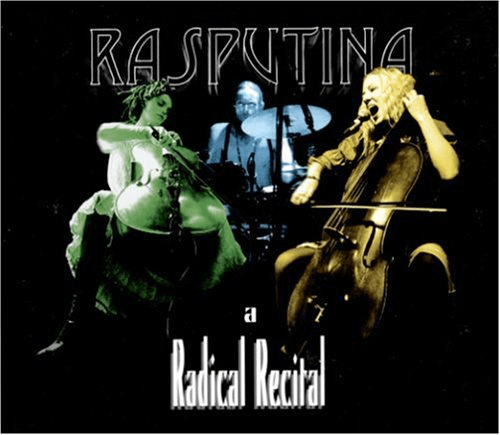 Radical Recital is a good starting point for those interested in exploring Rasputina. If you are unaware of Rasputina, which I suspect quite a few people are, they’re usually a trio of musicians, 2 cellists and a percussionist (onetime Brian from Dresden Dolls) who play a weird Country/goth/rock fusion. It works. I believe the genre is New Weird America. It would be interesting to hear your opinions…..